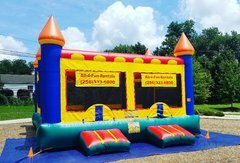 Bounce houses, Moonwalks, Jumpers, Bouncy Castles which ever name you prefer calling them they bring instant fun and thrills to any party or event, and the selection at All 4 Fun Rentals lets you find the perfect bounce house that is just right for your upcoming party. With our easy to use online booking system, our offerings are just a click away! 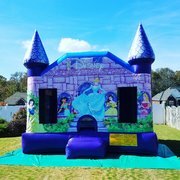 Check out some of our most popular bounce houses, including our Excalibur Bounce House that is perfect for large parties or events. 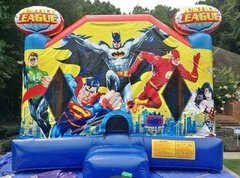 We have many sizes, colors and themes for all your party needs.